Portuguese environmental groups, including SOS Lynx, denounce the deliberate shooting of the only nesting male Iberian Imperial Eagle in the country. The Iberian Imperial Eagle is one of the rarest birds of prey in the world, with only 400 individuals surviving. The species was once widespread across the Iberian Peninsula, but is now confined to small parts of central and southern Spain, and areas close to the Spanish border in Portugal. 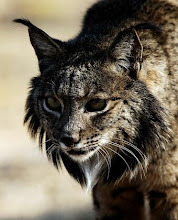 The deliberate shooting of this particular eagle is not only completely illegal under Portuguese and International law, but also represents a disaster for the species' recovery in Portugal, as well as the recovery of many other important predators, including the planned reintroduction of Iberian Lynx. The shooting occurred next to the eagle's nest, within a supposedly protected area, by an individual or individuals who presumably have absolutely no respect for the law or nature conservation. 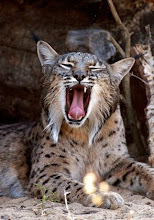 Dan Ward, spokesperson for SOS Lynx stated: “Irrational attitudes constitute one of the main barriers to predator conservation in Spain and Portugal, and if predator persecution cannot be adequately controlled, the future recovery of many important predator species will be in doubt”. There was (and there still is) more than on pair of Spanish Imperial Eagles nesting in Portugal. This was not the male of the only nesting pair, but the male of the only pair that had had reproductive success in the last breeding season.